Spain’s anti-austerity leader Pablo Iglesias has started courting left-wing rivals as he manoeuvres for a serious shot at becoming prime minister after the general election on 26 June. Opinion polls show Spaniards are likely to deliver a similarly fragmented parliament to the last election in December, with the conservative Popular Party (PP) taking the largest share of the seats but falling short of an absolute majority. 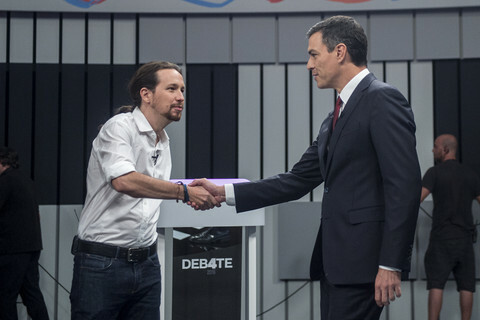 Iglesias' Podemos party leads a left-wing coalition that may overtake the Socialists to grab second place, which would mean he could demand the Socialists back him to remove PP leader Mariano Rajoy from power. 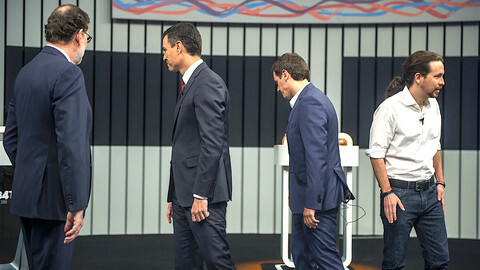 At a debate between the leaders of the four largest political parties on Monday night (13 June), Iglesias moderated attacks on Socialist leader Pedro Sanchez, focusing fire on Rajoy. 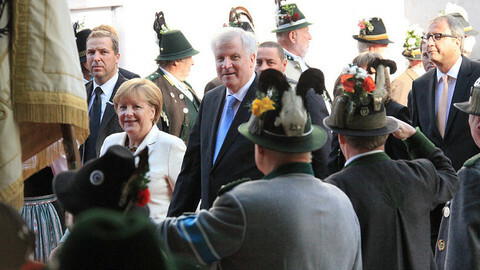 He repeatedly offered to govern with the Socialists after the election. “Our voters and yours would want to see us together,” he told Sanchez. A poll released last Thursday by the state-run Centre for Sociological Research (CIS) saw Podemos Unidos increasing their total seats to between 88 and 92, up from their current 71, while the Socialists dropped to 78-80 seats from 90. The poll put the PP top on 118 to 121 seats, down from 123 seats, still short of the 176 needed for a majority, and centrist newcomer Ciudadanos virtually stable on 38-39 seats compared with its current 40. Podemos has shot past the Socialists in opinion polls thanks to its agreement with the smaller left-wing rival Izquierda Unida (IU) to fight the election on a single list, which could allow the two parties to reduce the effects of Spain’s electoral law that punishes smaller parties. 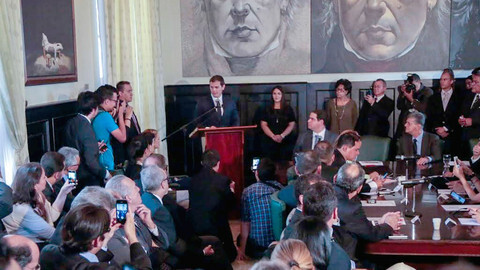 Iglesias had previously mocked IU, once parodying it as a “grumpy smurf”, but he strategically paired up with the party after some opinion polls suggested his support was slipping. IU leader Alberto Garzon is popular after being seen to be flexible in negotiations to try to form a government. During Monday's debate, Sanchez shook his head and laughed sarcastically at Iglesias’ repeated offer to form a coalition after 26 June. 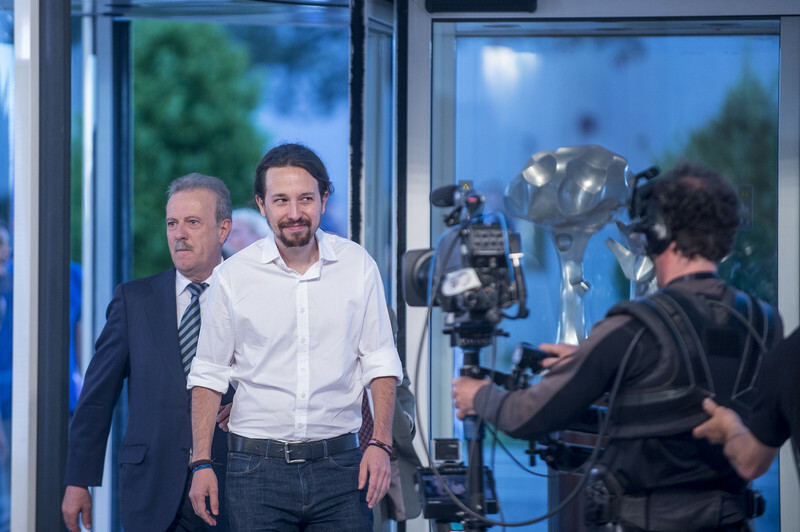 Podemos voted in March alongside the PP against Sanchez’s attempt to become prime minister. 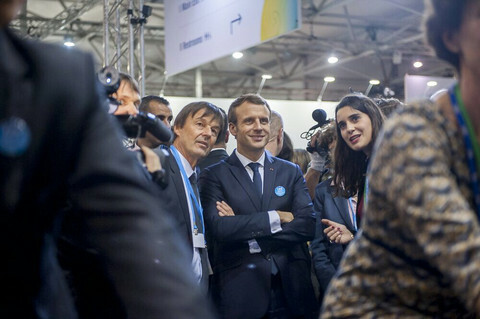 Sanchez said his programme at the time, which was backed by Ciudadanos, included measures to help families in poverty, give better grants to students and increase workers’ collective bargaining power. The softer tone of the pony-tailed politics lecturer contrasted with an impassioned attack in the parliament in March when he criticised former Socialist prime minister Felipe Gonzalez for the state-sponsored death squads that targeted Basque separatists ETA in the 1980s. In recent interviews, he has described himself as a Social Democrat, having once described himself as a Communist, and pointed out he was named after the man who founded the Spanish Socialist Party in 1879. Some members of the Socialists remain wary of Podemos, fearing its leadership supports radical economic policies and that they could replace their party as the main left-wing choice the way upstart Syriza replaced the main Socialists in Greece. Many Socialists are particularly opposed to the Podemos ambition to grant pro-independence supporters in Catalonia a referendum on whether the north-eastern region should break with the rest of Spain. 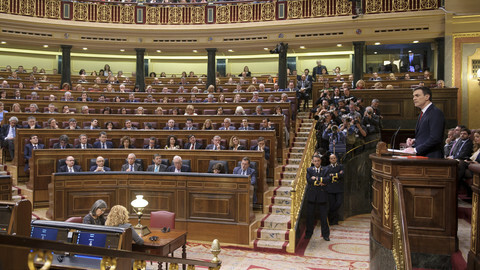 The PSOE argues that all Spaniards should be allowed a vote on changes to the country’s territory and favours a constitutional reform to make the country’s system more federal. The Popular Party is hoping the distrust of some Socialists for Podemos could force the party to abstain to allow the conservatives to govern. But on Monday, Sanchez again ruled out joining a “grand coalition”, led by Rajoy, whose party is under fire as judicial investigations continue into allegations the party ran slushfunds. However, Sanchez avoided directly answering the question of whether he would accept Iglesias as prime minister if Podemos comes second. Centrist Ciudadanos, which allied with the Socialists during the last six months, could be a potential ally to the conservatives. The party's leader Albert Rivera said he would not join a government involving Podemos and he opened the door for a pact with the conservatives with a fresh leader. To gain the role of kingmaker, Ciudadanos will need to buck the opinion polls. 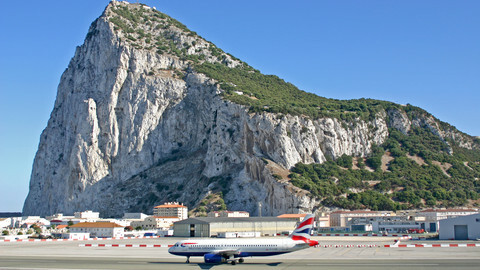 People in Gibraltar may feel that English and Welshmen are dragging them out of the EU. 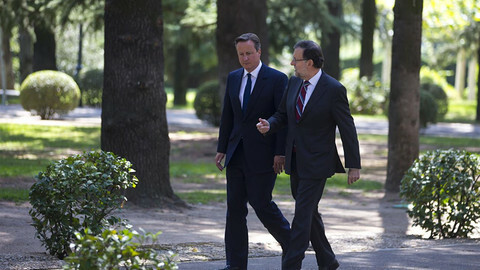 But Gibraltar's leader rejected a Spanish proposal for shared sovereignty.